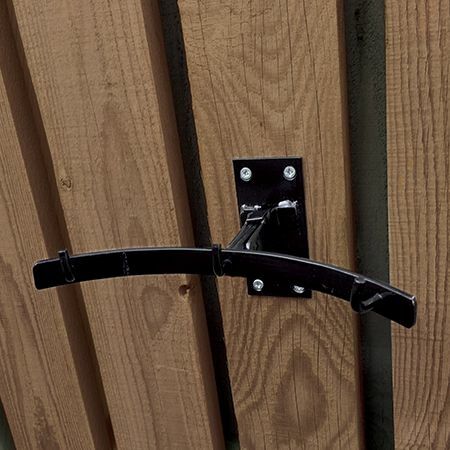 Interchangeable Triple Hook – Just slots into the Base Bracket (purchased separately) and lifts off when not required. Can be used with the Base Bracket on concrete fence posts where Wire Anchors have been fitted. The Base Bracket just slots down the back of the Anchor. 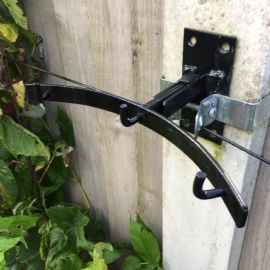 The hook can also be fitted.on walls, wooden posts and fences by screwing on a Base Bracket first. ​Zinc plated and black powder coated for long life.